GALION — Books, books and more books! Galion Public Library is bursting at the seams, but the library’s board has found a solution. According to library director Vicki Eckenrod, a storage building is being constructed behind the library’s main building. Eckenrod said part of the funding for the building came from the Community Foundation of Crawford County. “The building will also contain a maintenance room for our maintenance man to utilize and store items he needs for his job,” said Eckenrod. Galion’s beautiful library didn’t start that way. It was originally housed in a log cabin that has been rebuilt and relocated at Heise Park. The current building was constructed in 1904, paid for partially by Carnegie Funds. The building was expanded in 1990 due to the ever-growing collection of books. Service have also been expanded. Currently the library offers basic library services, which include things like books, movies and library cards along with internet and computers, printers, ebooks, books on wheels, a genealogy and history room and meeting rooms. The library hosts an array of events each year geared toward children and families. “In April, we are having a battleship tournament that I think will be a really fun event. We have also implemented a baby bounce program that begins on March 14 for babies up to 18 months-old,” said Eckenrod. The library’s calendar for all upcoming events can be found online at http://cgi.galion.lib.oh.us/calendar. For more information, call the library at 419-468-3203 or visit http://www.galionlibrary.org. 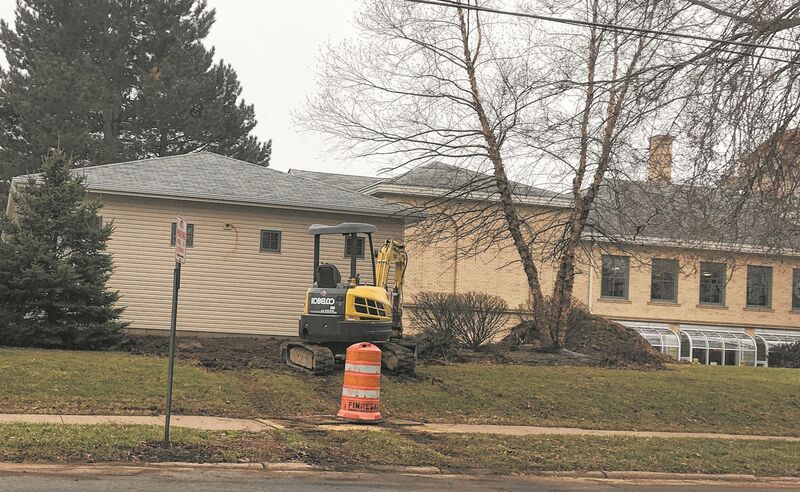 Kimberly Gasuras | Galion Inquirer A storage building, that includes a maintenance room, is being constructed behind the Galion Public Library. http://aimmedianetwork.com/wp-content/uploads/sites/38/2017/03/web1_library.jpgKimberly Gasuras | Galion Inquirer A storage building, that includes a maintenance room, is being constructed behind the Galion Public Library.